commented on "Profile "Chelsea Latte"! How lovely would this floral look on a bedhead?" Profile "Chelsea Latte"! How lovely would this floral look on a bedhead? 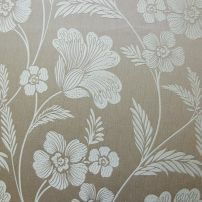 A new fabric that we can't wait to upholster on to a bedhead, chair or sofa. 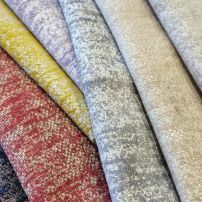 commented on "Gorgeous "Cashmere" Upholstery Fabric for chairs, bedheads & bed bases, wall panels, sofas, ottomans"
Cashmere is a beautiful, soft wool flannel look with a subtle linen weave, creating interest and texture. Woven with polyester fibre, it is hard wearing, yet welcoming! Colours are vibrant and strong, highlighted by rich purple, yellow and red tones. commented on "Wortley's Aura - Vintage Look Upholstery Fabric"
How great would "Aura" be on an upholstered bedhead, chair or even a sofa. All of the Aura colour range would look amazing with diamond buttons or even soft buttons. 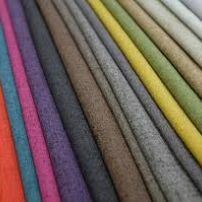 Just love this soft cosy upholstery fabric!